Christmas always ends up being an expensive time of the year, no matter how much you try and save. For students on a budget it can be hard to find good gifts for your parents while trying not to spend too much money. This is the gift guide for mums, it has been kept to affordable prices from as little as £5 up to £15 and features my personal top three for each price range. Boots are selling this Soap and Glory Naughty but Spice Duo, this set comes with a limited edition shower gel and body butter for just £5. If you’re looking for something for the home Boots stock a Yankee Candle set of three votive candles, it is currently on sale at £3.33, and is normally priced at £4.99. 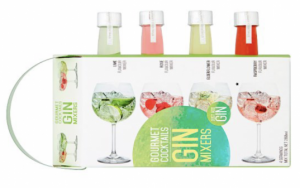 Over at Tesco you can get this set of flavoured mixers to add to gins instead of tonic water, you get four different flavours and the set is just £5. 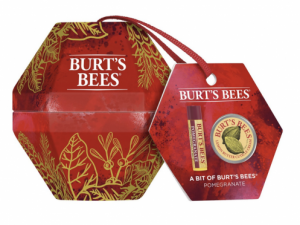 Debhenams have this Burts Bees Pomegranate set for £7, shaped like a bauble it comes with a lip balm and a cuticle cream. 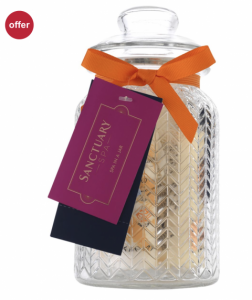 At Boots the Sanctuary Spa in a Jar set is only £10 and looks more expensive than it is. In the set you get body wash, body lotion, a foaming bath soak, hand cream and a body puff too. 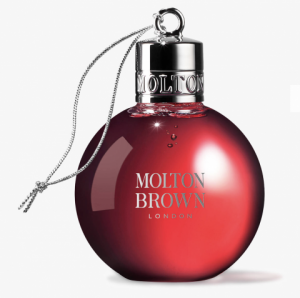 If you want a more premium brand, Molton Brown are selling little baubles of shower gel for £10, they come in an assortment of different scents to suit everyone. For the prosecco lovers, Tesco are selling this prosecco set which is £15. 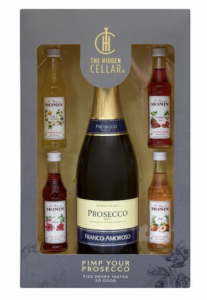 It comes with a 750ml bottle of prosecco and four different flavours of Monin syrup. If you are fancying more premium brands, Origins have this set of face masks if you’re looking for presents around skincare and for £15 you get five different masks. you can pick this Origins set up in Boots. 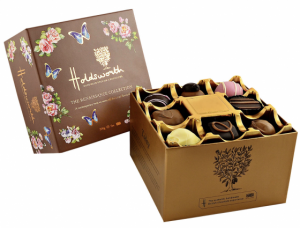 From John Lewis you can get this Holdsworth Renaissance Collection chocolate box for £15. This set has more classic flavours including fudge and toffee chocolates. Hopefully this gift guide can help you to find your prefect present without breaking the bank. BEAUTY GIFT GUIDE – THIS CHRISTMAS! 22 December 2018 Comments Off on BEAUTY GIFT GUIDE – THIS CHRISTMAS!